The Seward Lady Saints struggled much of the night with their offensive execution and foul trouble. 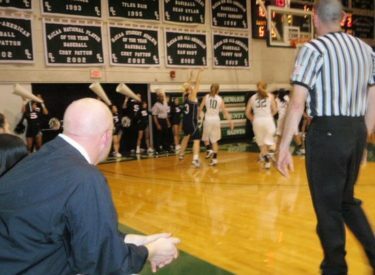 But Seward broke away late to beat Colby for the ninth consecutive time 64-46 Wednesday night in the Green House. Kayla Thomas sparked the Lady Saints with 14 points and seven rebounds. Mariah Lee added 14 points and six rebounds. Ashlynn Knoll added 11 points and nine rebounds. Seward trailed at the half 27-26 and led by single digits most the second half. Seward played without Hannah Rotolo who suffered a concussion in the Barton game Saturday. Seward shot under 30 percent but held the Lady Trojans to 26 percent shooting. Seward is 12-5 overall and 2-1 in the Jayhawk West. Colby falls to 6-10 overall and 1-2 in the Jayhawk West.